You don’t get a huge amount in the box, however. 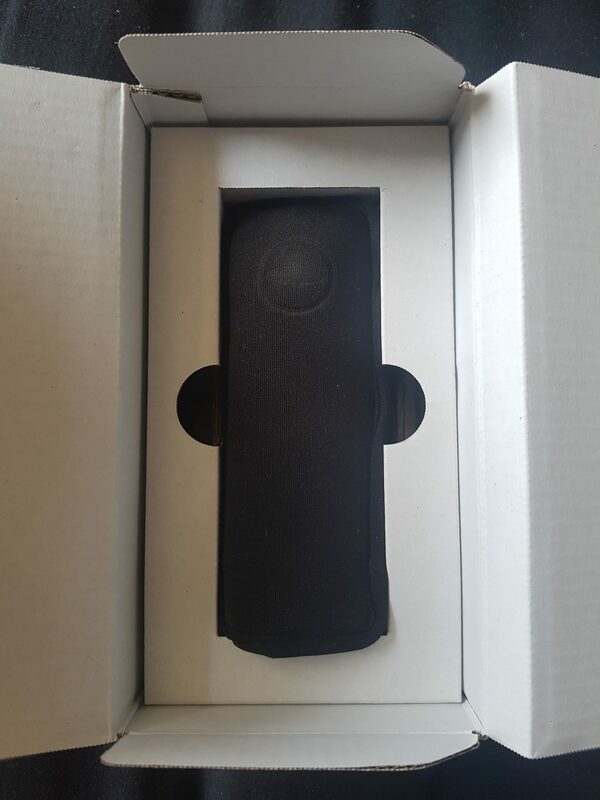 Alongside the camera itself – which incorporates 8GB of Flash memory (enough for 25 minutes of footage), but has no removable option – you get a neoprene sleeve to protect the device in transit and a USB cable. 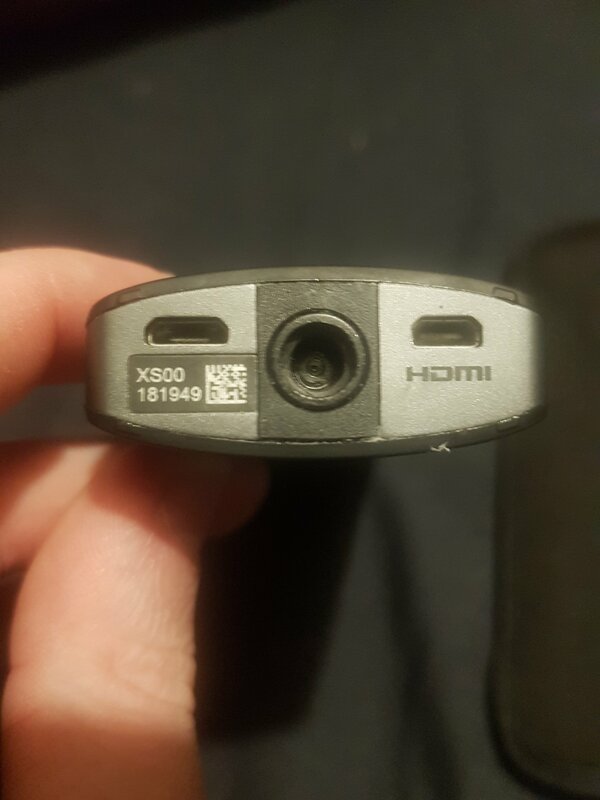 There’s micro-HDMI on the bottom of the unit alongside micro-USB, with a tripod screw mount in between, but there are no accessories are included. You can pair the Theta S with the companion smartphone app, you then get more control over the camera. You can adjust the ISO (100-1,600), shutter speed, and exposure; see a live panoramic view of what the camera sees (except when it’s recording); set an interval timer to shoot a series of photos you can turn into a time-lapse video; view what’s on the camera or transfer them to the phone, adjust any system settings; and check on battery status. Video quality is okay, but it’s not full HD at 1,920 x 960 at 29-frames-per-second resolution. Nothing looks particularly sharp, but colours hold up well. Since there’s no image stabilization, it is juddery if you’re moving with the camera. You can easily fix this in post process using photoshop or even on your phone with snapseed. Low-light shots were much better than expected. There’s clearly noise, but it’s usable when viewed in small sizes. Imagine holding a TV remote control in your hand. That’s essentially what it feels like and it even looks like one too. The Theta S is not any larger than a smartphone and fits comfortably in your pocket. On one side are three buttons for power, wireless, and choosing photo/video modes. The other physical control is the big shutter button on the front. Pressing it once will snap a 360-degree photo or start recording video; to stop, just press it again. That’s it, as easy as it gets. 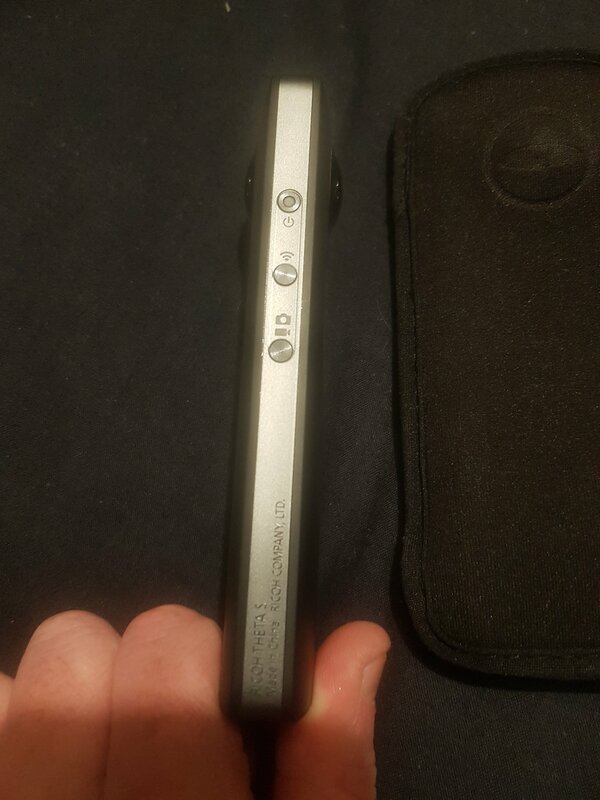 There’s no LCD, but there are two status lights indicate what the camera is doing and what mode it’s in. 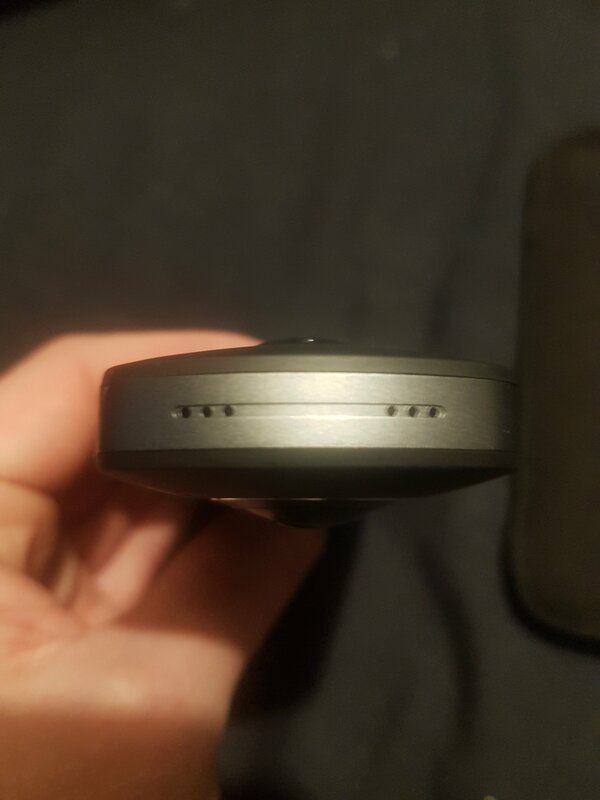 The internal non-replaceable battery seems ok, I’ve taken it out a few times now all day long and the battery has lasted without any problems. The only way to gauge the battery life is in the app. There is no desktop editing software from ricoh. Its all done through the app. All you can do is connect it directly to your computer via a usb (weirdly it takes a photo when it connects). Your computer should recognise it and it should appear as Ricoh Theta S in file explorer. Then using file explorer you can drag and drop the photos from the device to your computer. Theta S has built-in Wi-Fi and the pairing process is straightforward: The camera becomes an access point, with its own SSID. Find it in the Wi-Fi menu, enter the password (this is located at the bottom of the camera, but it’s also the string of numbers in the SSID name), launch the app, and you’re in business. Sounds simple, but i have had issues with the camera connection dropping out. I even gave up trying one night after numerous connection attempts failed over a 3 hour period. This is what lets the camera down for me. I often find it tells me the camera has connected, but as soon as i press an option the connection drops out and I can’t do a thing. It’s incredibly frustrating. When it does work the app is very easy to use. There are three apps altogether, one for camera control, one for editing photos (Theta+) and another for videos (Theta+ Video). 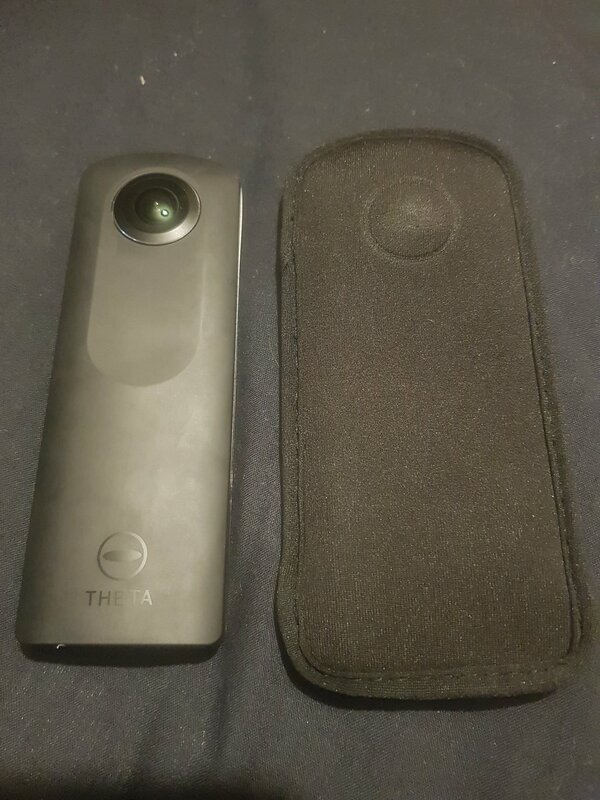 The Theta+ app lets you create time-lapses from interval photos, apply filters, crop an image so that it’s easier to share as a flat, 2D photo, change the 360-degree view, apply stickers, and share to social media or the Theta gallery. The video app has a similar approach: You can trim, add music, apply a filter, change the 360-degree view, and save and share. Like the basic app, these two are easy to use. I do think Ricoh could have incorporated these features into a single app. At the moment, if you want to try out shooting decent 360 images and video, you don’t have many options. With its sub-£300 price, the Theta S is cheap enough to purchase just to get to grips with the idea. There’s no doubt that it will be superseded by better devices fairly soon, and the Theta S is still at the novelty level.. However, the Theta S is easy to use and the results are acceptable for the price. Ricoh has jumped in early and provided something that’s far from perfect, but good enough to have some fun with. It’s no surprise that this device has been selling like hot cakes. So it’s worth buying, but will probably end up languishing in a drawer within a year as more sophisticated alternatives arrive on the market. I hope that a strong 4K successor to the Theta S is in the works.